January 5th was a wonderful day for Iglesia Menonita Fuente de Agua Viva. Pastors Alejo and Alma Solis did not attend the meeting as they were scheduled to. They did not attend because they were doing something very important. Since the church began meeting they have used folding metal chairs because they could not afford anything else. For some time now the congregation has been saving to buy new chairs for the sanctuary. 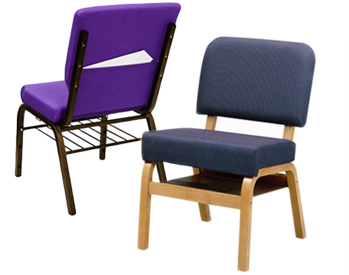 On this day seventy new chairs with a pocket and a shelf for hymnals arrived. It was a dream come true. They had been saving for the for the longest time. Then one day about a month ago, a member said I will put in some of what is needed, then another said I will do the same. Soon they had collected all the funds needed for the chairs. God answers prayers for those who trust in Him. Fuente de Agua Viva trusts in the Lord.